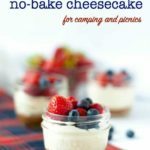 Mini Mason jar no-bake cheesecake made and served in tiny jars makes an ideal dessert for a picnic, for camping, or as a fun treat for kids. Quick and easy. Gluten-free! Sometimes I need to make a dessert for a special occasion, but I’m not in the mood to make a cake or something elaborate. 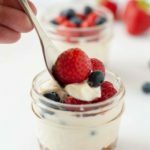 Fresh fruit is the usual choice for family dinners, but today I chose to make this Mason Jar No-Bake Cheesecake. 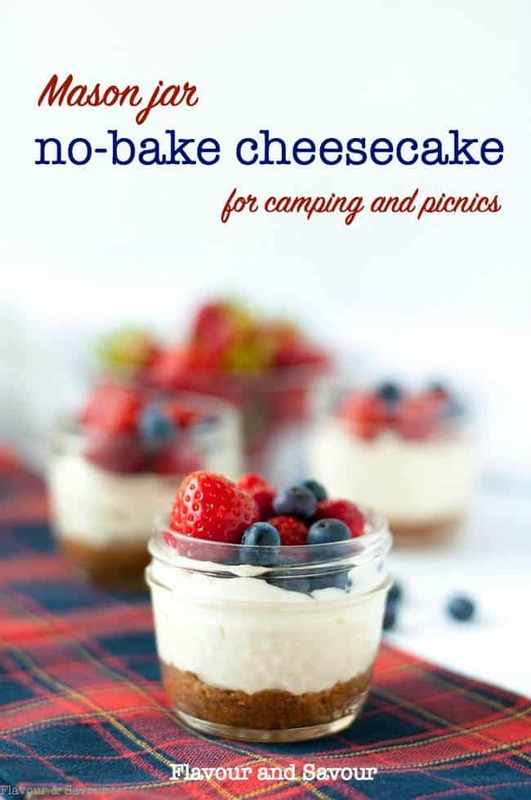 We’re heading to the lake to celebrate Canada Day, and I need a portable dessert that can be packed in a cooler. After a day of swimming, sunning, playing in the water and hanging out on the wharf, I don’t want to be busy preparing dinner! 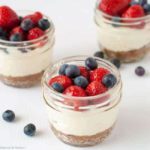 And while no-bake cheesecake with berries is ideal for an easy summer dessert, I love this Cranberry-Orange No-Bake Cheesecake in the winter months. 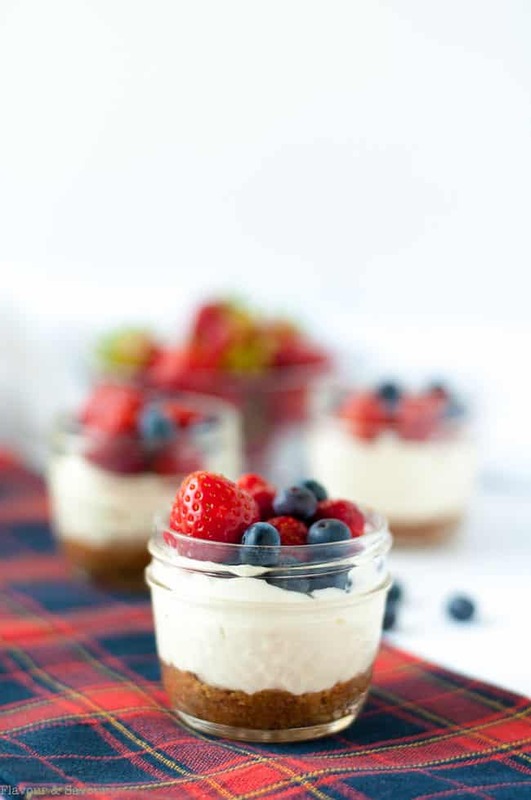 I serve it in mini dessert glasses instead of Mason jars for a more elegant presentation! 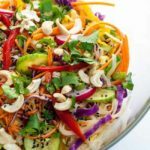 But today, I plan to serve an easy dinner of these cute little fresh veggie zucchini roll-ups, salads, some grilled greek chicken kabobs, this no-bake cheesecake . . . and Nanaimo bars because . . . we’re Canadian, eh? 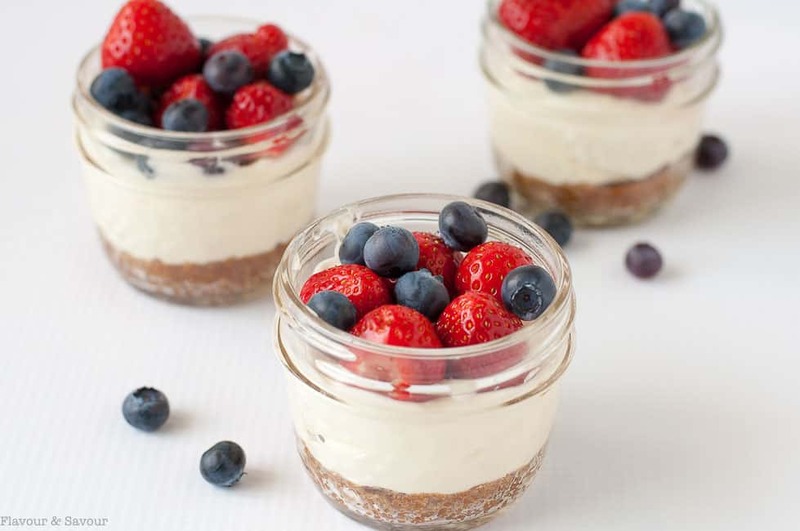 With fresh strawberries and blueberries ripening in the garden, it was an easy choice to decide on the topping for this cheesecake dessert, but you can top it with any fruit you choose. 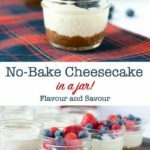 I adapted this recipe from my Charred Rhubarb No-Bake Cheesecake. 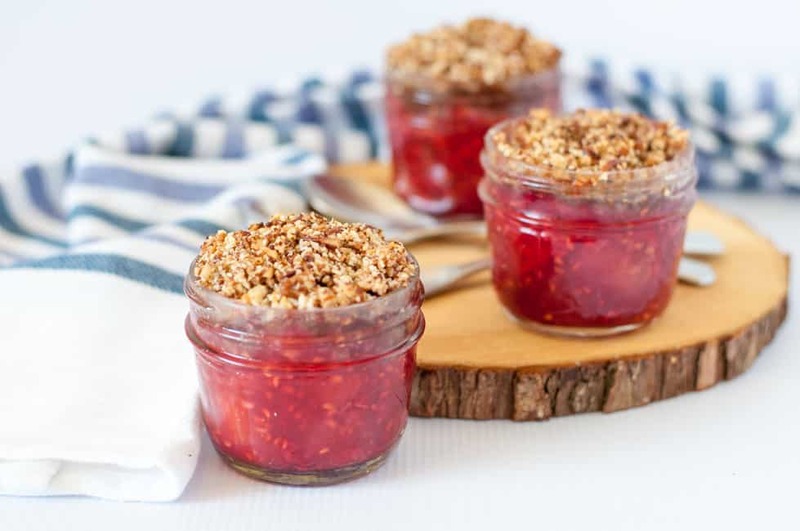 Adding fresh fruit to the little Mason jars makes it a quick and easy dessert. 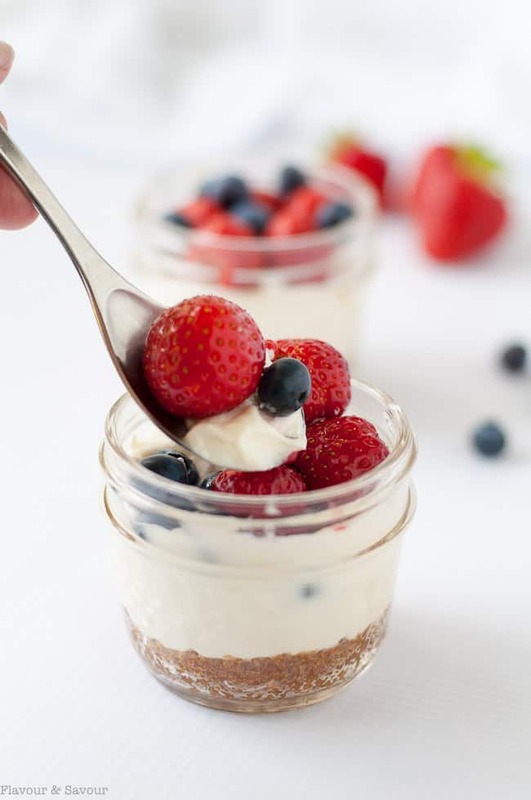 Can I make this Mason Jar No-bake Cheesecake ahead of time? Yes! Make it a day or two before you need it. Any longer than that and I would be concerned that the cookie crust may become soggy. 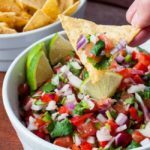 Cover tightly and refrigerate and top with fresh fruit just before serving. I used store-bought gluten-free cookie crumbs for the base, but any cookie crumbs will work equally well. 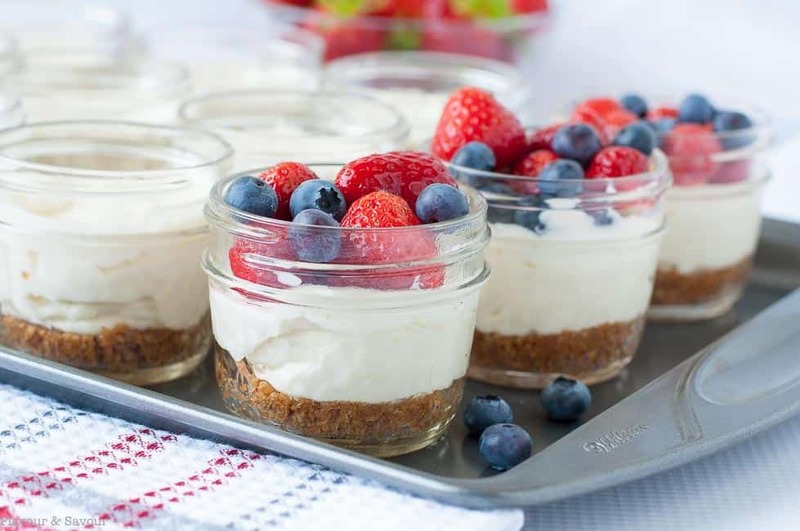 Press them into the bottom of 4-ounce Mason jars (the little ones), top with the cheesecake mixture, add a lid and refrigerate if you are not planning to serve them for a while. I’ll add fresh summer berries just before serving time. As an alternative, you can use ground almonds as the base for this dessert. Combine 1 1/3 cups of ground almonds with 2 tablespoons butter or coconut oil and 2 tablespoons of coconut sugar. And that’s it! How simple is that? Happy Canada Day and Happy Fourth of July to all my U.S. readers! 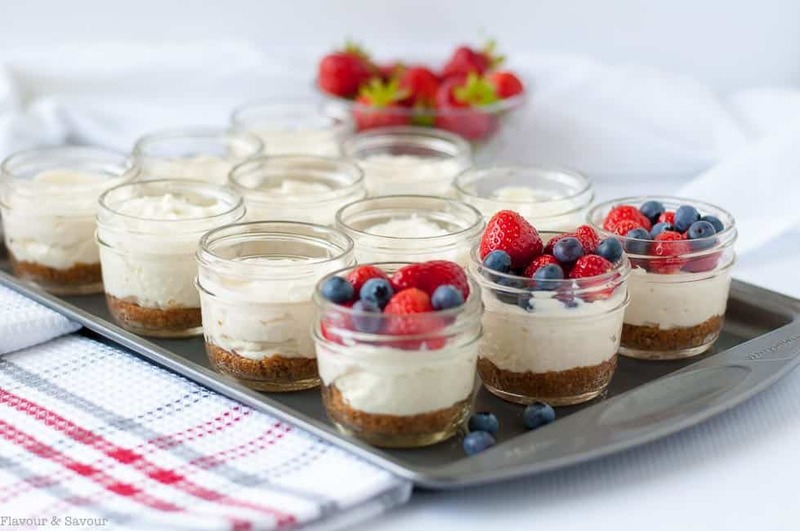 Mini Mason jar no-bake cheesecake made and served in tiny jars make an ideal dessert for a picnic, for camping, or as a fun treat for kids. Quick and easy. Beat cream cheese with firm Greek yogurt, and sweeteners until well combined. Spoon into jars. Top with fresh berries or fruit and refrigerate. 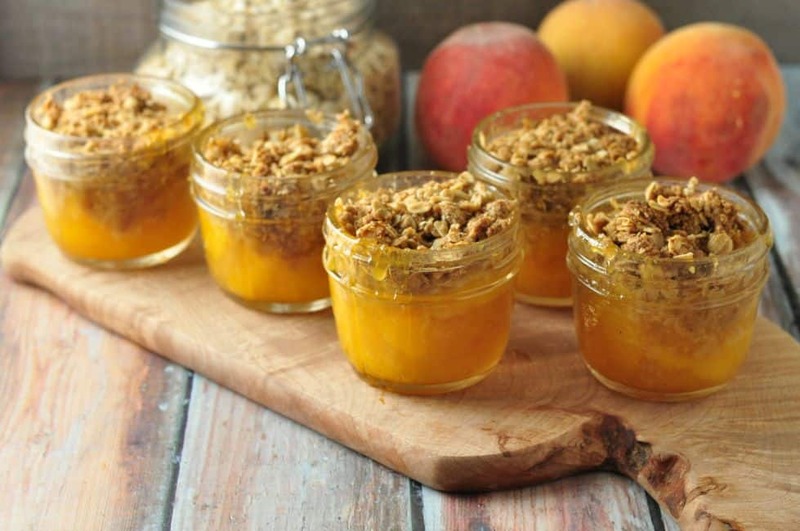 If not serving the same day, top with lids, refrigerate and add fruit just before serving. I made this recipe for a birthday party and topped it with strawberries and added a bit of whipped cream on top. It was a hit! Oh yum! That would look really pretty too! 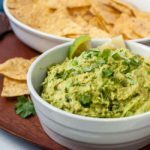 My kids love these! I do keylime, cherry, and lemon yogurt. It’s super yummy! Thank you!! 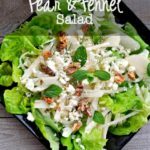 Those are wonderful flavour ideas! Don’t you feel great when you find a healthy dessert that your kids love? Thanks so much for commenting!